Raindrop Therapy combines aromatherapy, reflexology, and more to create a healing and cleansing massage. The purpose of the therapy is to bring total balance, a sense of harmony, and body wellness including mental, physical, and emotional through the techniques used. The premise behind this massage therapy is that the use of specific antimicrobial oils applied in a particular sequence with various techniques will reduce the body’s inflammations and destroy any viral presence. Although the original theory behind this is to heal problems of the spine, modifications can be incorporated into the therapy to treat other conditions. 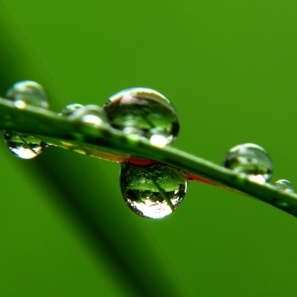 Raindrop therapy focuses on the application of a number of specific essential oils to various parts of the body through a combination of techniques. Imagine potent Theraputic-Grade Essential Oils dispensed like raindrops along your spine and feet!